With US shale production booming, Saudi Arabia might be on the brink of losing its position as the world's second biggest oil producer. But apparently, the Saudi Kingdom isn't all that concerned. After a recent meeting with the US energy secretary in Riyadh, Saudi Oil Minister Ali al-Naimi said his country "welcomes this new source of energy that helps fulfil the growing world demand for energy, and helps stabilise oil markets," AFP reported. The US only recently became a net exporter of oil, driven by an explosion in shale fracking. In October 2013, imports were at their lowest since February 1991. And there's been a lot of debate recently about a decades-long ban on crude exports, as a senior Republican senator called last week for an end to the “antiquated” export ban, the Financial Times reported. Somehow none of this talk about an emerging competitor is worrying the Saudi Kingdom. Oil is Saudi Arabia's number one economic driver. The country is the world's biggest exporter of petroleum products, according to the US Energy Information Administration. It's also the biggest exporter of oil to the US after Canada. In its most recent annual World Oil Outlook, the Organization of the Petroleum Exporting Countries (OPEC) recognized that US shale production will threaten the market share of OPEC countries. OPEC identified shale oil as "one of the most important changes" in last year's Outlook "in terms of the medium – and possibly long-term impact." This isn't the first time the Saudi Kingdom has expressed its lack of concern over the US' shale ambitions. Just a few months ago Prince Abdulaziz Bin Salman Bin Abdulaziz said that "world economic growth will be sufficient to handle growth from all sorts – shale oil, shale gas, tight oil and including renewable [sic]," Reuters reported. "The world economy over the long term will need every contribution of every source of energy available," he said. "The kingdom welcomes new resources of energy supplies, as they are needed." Meanwhile, Saudi Arabia has been making a serious push to diversify its domestic energy supplies in order to keep more of its oil for export purposes; its goal is to generate almost half of its energy from renewable fuels by 2020. But not everyone in Saudi Arabia is indifferent to the US' shale plays. Last November Prince al-Waleed bin Talal told the Globe and Mail that his country's leaders are being "reckless" by ignoring the US as an economic threat. 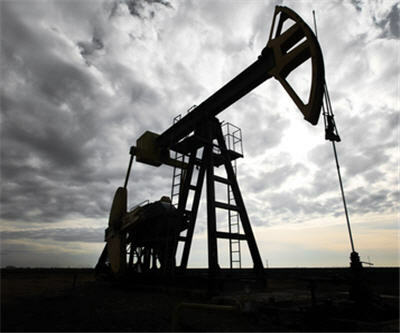 He said that new shale discoveries "are threats to any oil-producing country in the world,” the Globe and Mail reported.